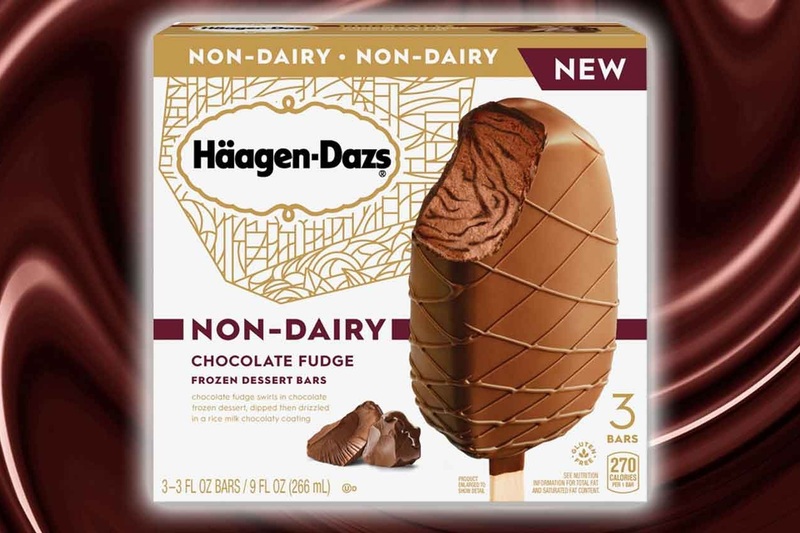 Last year, we reported on the release of Haagen Dazs Non-Dairy Frozen Dessert Bars. They were originally launched in two flavors, but they recently added one more to the line-up: Chocolate Fudge. 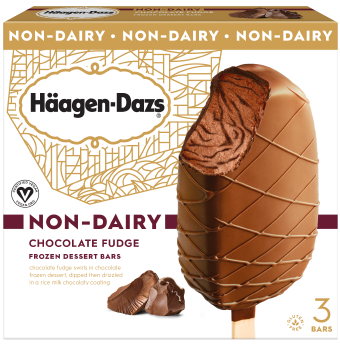 All three varieties of the bars are made with luxurious Haagen Dazs vegan ice cream, coated in rich dairy-free chocolate. 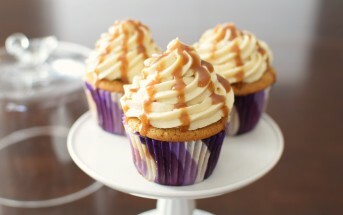 But they each have their own distinctive flavor personalities. Chocoholics will revel in this intensely cacao, yet very creamy ice cream bar. The purely chocolate dairy-free ice cream is made with Belgian chocolate, swirled with chocolate fudge, and enrobed in sweet rice milk chocolate. This vegan ice cream bar is made with my favorite Haagen Dazs non-dairy flavor, peanut butter chocolate fudge. 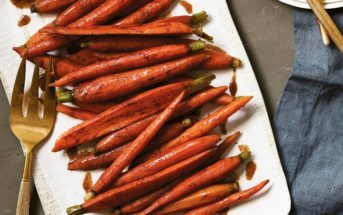 The crisp coating is made from dark chocolate for a more grown-up indulgence. Made with what is arguable the most indulgent coconut cream on the market, this coconut ice cream bar is elevated with ribbons of caramel sauce and a dark chocolate coating. Price: $5.49 per 3-count box. 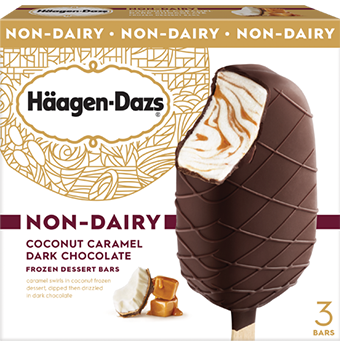 Availability: Haagen Dazs Non-Dairy Frozen Dessert Bars are available in the ice cream section at mainstream grocers throughout the US and Canada. They also sell these vegan ice cream bars at select scoop shops. See their websites below for store locators. 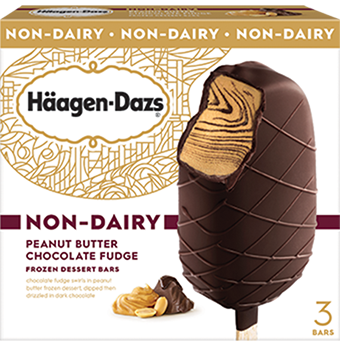 Certifications: Haagen Dazs Non-Dairy Frozen Dessert Bars are Certified Vegan and Certified Kosher D (for dairy equipment, not ingredients; see our Understanding Kosher Guide). 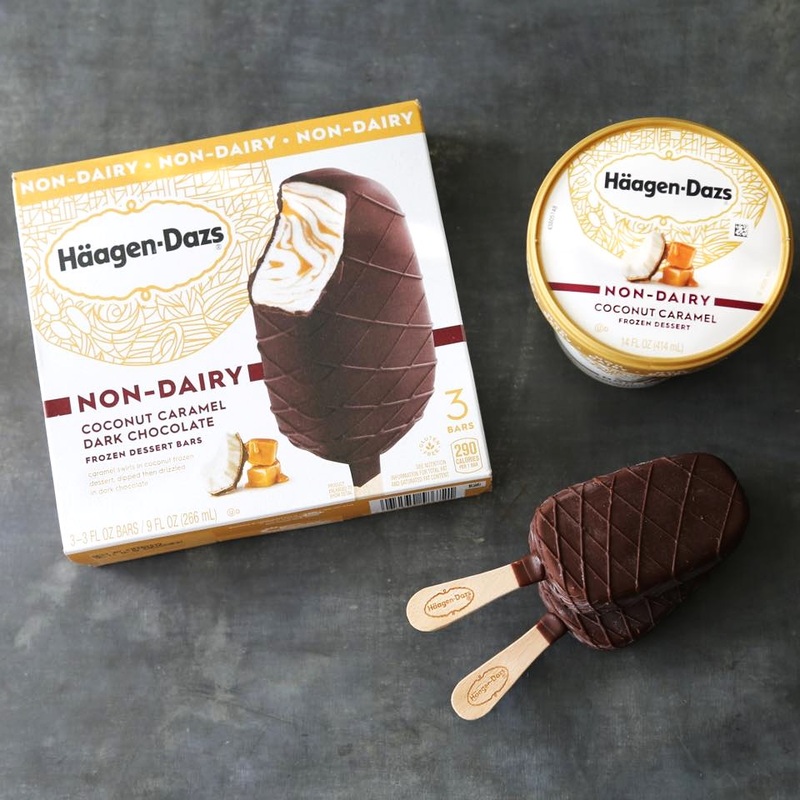 For More Product Information: Visit the Haagen Dazs website at www.haagendazs.us (US) or www.haagen-dazs.ca (Canada).